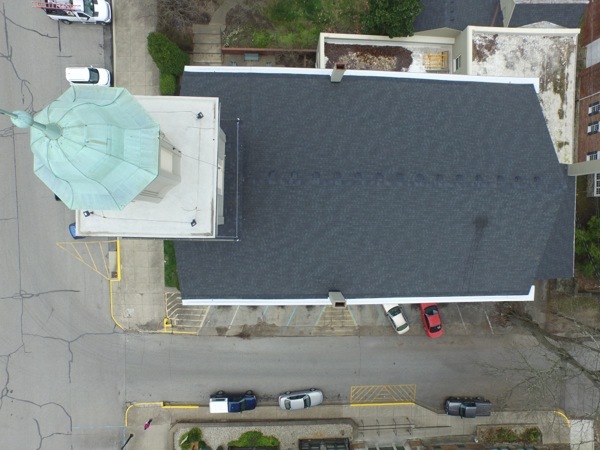 The Indiana Presbyterian Church located in Madison on the corner of Broadway and Second protects it’s historic building by having the box gutters repaired. 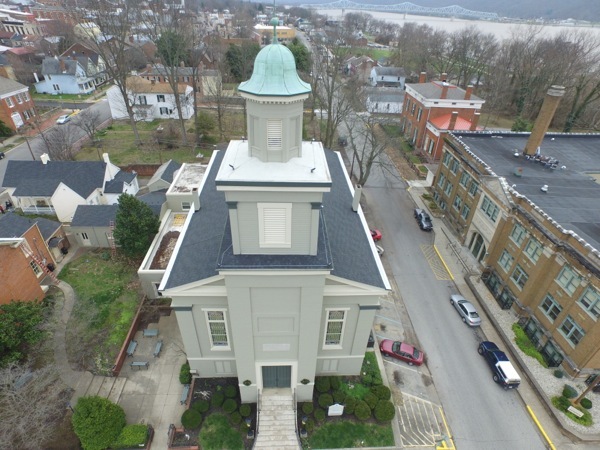 The asphalt shingle roof on the church was replaced just a few years ago so when leaking and water staining appeared on the decorated plaster molding, high up on the church walls, the congregation suspected the box gutters to be the culprit. They called Exterior Pro for an evaluation and professional opinion as to the source and cause of the new leaks. 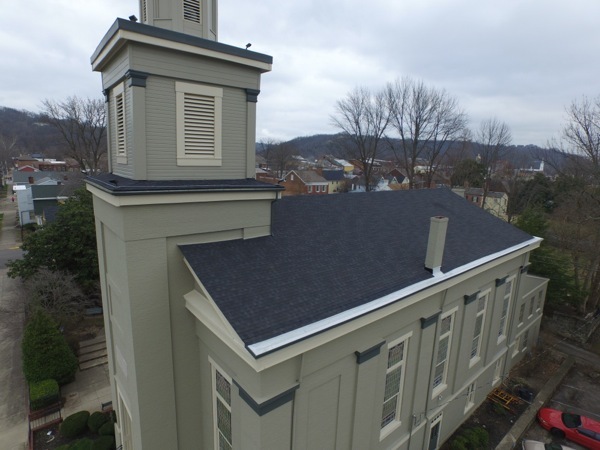 The church’s box gutters had been lined with an asphalt based rolled roofing product years and years ago. The rolled roofing was properly installed but lacked real protection around the drain outlets leading the downspouts and on the edge of the box gutter. Snow, ice, and rain water had taken its toll on the seams and they were also leaking. The beautiful plaster work and paint was at jeopardy inside the church, something had to be done. After discussing possible solutions to the aging box gutter, the congregation decided to have Exterior Pro roofing re-line the box gutters. We used PVC membrane to create a custom liner that would fit just right into the existing box gutter. We began the project by field measuring the box gutter and then fabricating the custom liner in our shop. We waited for appropriate weather and then brought in a 7 man crew to tackle the project. Our men moved slowly and careful on the steep and very tall structure, especially working on the edge in the box gutter. The job required a full working day for each side of the church. We removed shingles approximately 20” up from the box gutter then installed the new liner and ran it up onto the roof. Next, we installed a new metal edge trim over the front of the box gutter to give the church a finished look but also protect the exterior molding. The roof shingle that had been removed were replaced. Finally, new drain flashings were installed and hot air seamed together creating a water tight bond around the downspouts. Last but not least we installed new flashing around the chimney on each side of the church. We began lowering our tools and equipment to the ground and after some clean up the church was in good shape. 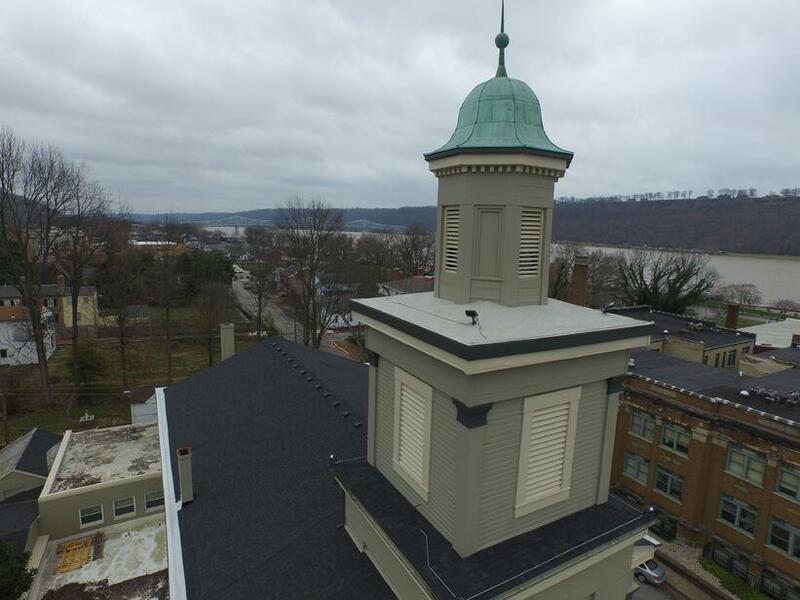 The new box gutter liners will keep the building dry and protect the ornate moldings inside for the next 20 + years.